Basques are a cultural isolate, and, according to mainly allele frequencies of classical polymorphisms, also a genetic isolate. We investigated the differentiation of Spanish Basques from the rest of Iberian populations by means of a dense, genome-wide SNP array. We found that F ST distances between Spanish Basques and other populations were similar to those between pairs of non-Basque populations. The same result is found in a PCA of individuals, showing a general distinction between Iberians and other South Europeans independently of being Basques. Pathogen-mediated natural selection may be responsible for the high differentiation previously reported for Basques at very specific genes such as ABO, RH, and HLA. 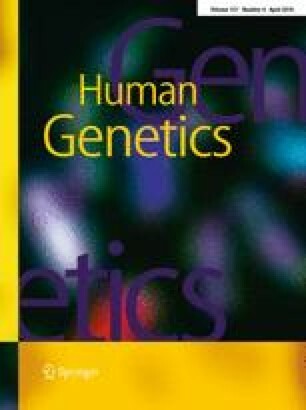 Thus, Basques cannot be considered a genetic outlier under a general genome scope and interpretations on their origin may have to be revised. The online version of this article (doi: 10.1007/s00439-010-0798-3) contains supplementary material, which is available to authorized users. This research was supported by Genoma España (Proyecto Piloto CeGen), Dirección General de Investigación, Ministerio de Ciencia y Tecnología, Spain (grants SAF2007-63171, BFU2007-63657) and Direcció General de Recerca, Generalitat de Catalunya (2005SGR00608). SNP genotyping services were provided by the Spanish “Centro Nacional de Genotipado” (CEGEN; http://www.cegen.org). Bioinformatic services were kindly provided by the Genomic Diversity node, Spanish Bioinformatic Institute (http://www.inab.org).